In New York, thousands of nursing homes are cited for deficiencies in their programs every year. Whether it is due to the fact that residents develop bed sores or fall due to accident-prone environments, nursing home facilities continue to fail to meet the standards established by the law. With research statistics that indicate over 37 percent of New York nursing homes have accident-prone environments and over 41 percent of nursing homes fail to meet professional standards, it is clear that something must be done to help residents harmed by these deficiencies. Medicare releases public available data every month on all nursing homes in New York, New York based on the data gathered through inspections, investigations and surveys. The federal database reveals that investigators found serious deficiencies and violations at fifty (16%) of the 305 New York City nursing facilities that led to preventable harm. If your loved one was injured, abused, mistreated or died unexpectedly from neglect while living in a nursing facility in New York, you must protect your legal rights to ensure justice. We encourage you to contact the New York City nursing home abuse & neglect lawyers at Nursing Home Law Center (800-926-7565) today to schedule a free, no-obligation case review to discuss a financial compensation lawsuit. New York nursing home abuse lawyers are available to help those residents who suffer as a direct result of the improperly trained or inadequate staff workers that nursing homes hire. Call one of our nursing home lawyers today to get started in filing a claim against the nursing home administration of your loved one’s facility. It can often feel like there is nowhere to turn when a loved one has been abused or neglected. You should know that there are strict laws in place that can empower you to take action on behalf of your loved one. Nursing home lawyers are aware of the details behind laws like the federal Nursing Home Reform Act of 1987 and “Kathy’s Law,” a state law that defines offenses against children, disabled people and vulnerable elderly adults. Under Kathy’s Law, a person is considered to be guilty when he or she endangers the welfare of an incompetent or physically disabled person by knowingly acting in a manner that is injurious to his or her physical, mental and moral welfare. A person is also guilty of endangering the welfare of a vulnerable elderly person when he or she acts with intent to injure the person and causes injury, recklessly causes injury to the person or subjects the person to sexual contact without his or her consent. When you feel like a nursing home worker has violated Kathy’s Law or the Nursing Home Reform Act of 1987, it is vital to act. Speak with a nursing home lawyer as soon as you can. Nursing home administrators have a way of making you feel like you are over-exaggerating an issue that has impacted your loved one. The reality is that you should trust your gut instinct about any instances in which you feel a loved one has been harmed. It is likely that there is a pattern of abuse or neglect behind the suspicions that you have. This long list contains all of the signs that you need to know may indicate abuse or neglect is impacting your loved one. It is better to be knowledgeable about the potential ways in which your loved one could be harmed rather than to be unaware of systematic abuse that could be harming a loved one. Primary concerns: This facility has a staff quality rating of only one star and staffing concerns often influence the overall quality of care patients receive. Understaffing and poor training have translated into mediocre quality measures and a poor health inspection record. Primary concerns: A poor health inspection history and abysmal quality measures are major red flags for this facility. Its staff quality rating is considered just average. Primary concerns: There are few things that this facility has been able to do well. According to the Medicare nursing home compare tool, it scores below average in every single category. Its poor health inspection history means that residents are at an elevated risk of injury due to infection or environmental hazards and its one star staff quality rating could be the source of all other issues. Primary concerns: This facility, like the others on our lists, suffers from severe understaffing which has resulted in subpar health inspection results. Its quality measures received a four star rating, but this was not sufficient to make up for its numerous environmental deficiencies. Primary concerns: This nursing home is plagued by a two star health inspection rating and one star staff quality rating. For profit nursing chains and partnerships that fail to properly staff their homes should be forced to compensate those they’ve harmed by placing profits above health and safety. Primary concerns: It should be no surprise that this facility’s one star health safety rating is tied to a one star staff quality rating. It is almost impossible for a poorly equipped staff to be able to take care of the needs of every patient and to ensure their safety. Primary concerns: A two star health inspection rating and one star staff quality rating are once again at the heart of a facility’s deficiencies. 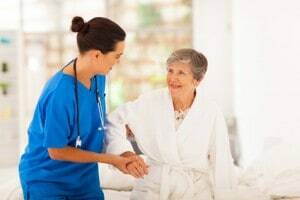 It is important that you verify that a facility has a well trained staff that is adequate in number to take care of residents before placing a loved one in any nursing home. Allow our lawyers to provide you with the help that you need in this difficult time. Your loved one may be eligible to receive compensation as a result of his or her injuries.